Circumstances of emergency are found out by militiamen. In Zhytomyr region rescuers pulled from the river the bodies of two dead men. 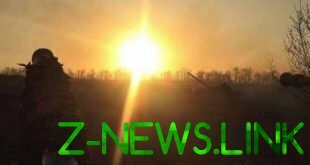 About this Chronicle.info informed in a press-service gschs of Ukraine in the Zhytomyr region. The first of the drowned man found in the reeds on the river Central square in Sochi. The body was at a distance of about one hundred meters from the shore in the reeds. The victims were 56-year-old man who fell into the pothole on the ice while returning home from fishing. It turned out that to get out he could not, and to help him there was no one. Rescuers got the body of a man poisoned for examination to clarify the cause of death. A similar incident occurred in the village of Mali Kosharyscha, Korostyshevsky district. There on the river Teteriv in the reeds also found the body of 59-year-old man. The deceased was a resident of Dnipropetrovsk region. In the circumstances of the death of the two men dealt with law enforcement.